After a failed attempt to shoot on a locked up rooftop, we snuck into an empty loft we happened to come across instead. 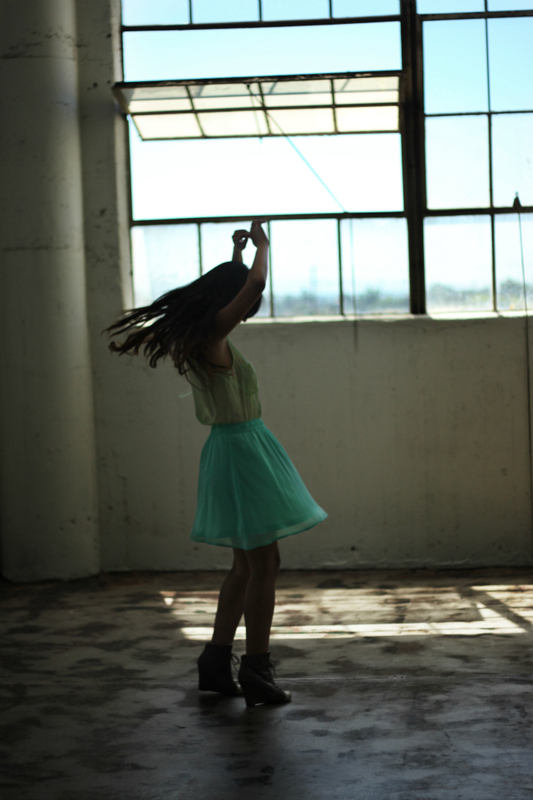 When you're wearing a flowy dress in a wide open space, twirls and pirouettes are a must. 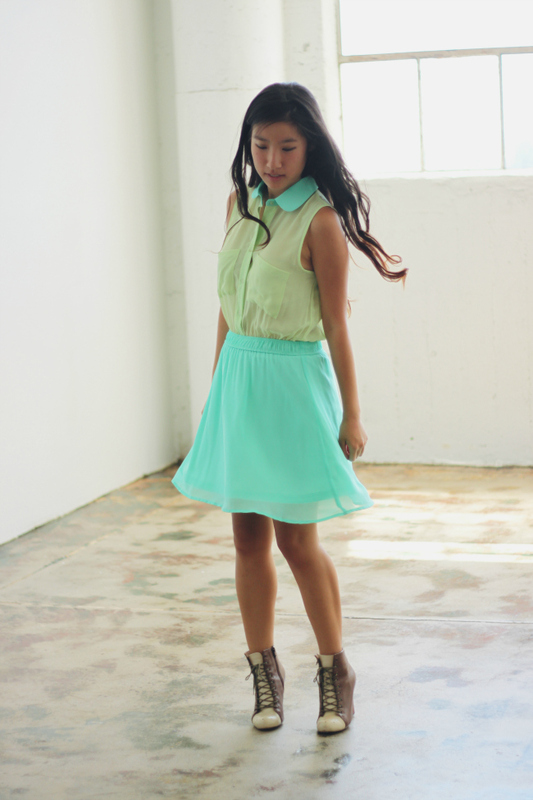 The dreamy mint shades of the dress make it impossible to take my eyes off of. On a side note, LA's heat is still disgusting. It's difficult to leave the house covered enough without being labeled as inappropriate. My method of survival has been chiffon, sheer and mesh. Easy breezy. Congrats! You will be contacted shortly. The first shot is so gorgeous, I'm in love with your dress! It's so so pretty! What a gorgeous dress! The color is so pretty on you. Your outfit it really fantastic! Mint happens to be my favorite color, and it just looks stunning on you. I wish I could happen upon an abandoned loft for photos, such a great space! Such wonderful pictures! I love everything about this outfit! AMAZING dress and cute photos! lovin the different shades of mint! This is such a pretty color :) love the whole outfit! the first shot is amazing!!!!!!!!! !